Visitors to San Antonio might expect to feast on nothing but Tex Mex and barbecue, but the city is home to a surprising number of excellent Italian restaurants as well. One of the most pleasant experiences is an evening stroll along the River Walk followed by a stop at one of the cozy little trattorias for a meal with a view. However, you don't have to be downtown to enjoy a good Italian meal; if you're staying with friends or family, you might be lucky enough to find yourself within walking distance to one of the city's friendly neighborhood eateries. With its unique location inside a former farmhouse, Aldo's Ristorante Italiano allows guests to experience the warm hospitality of a traditional Tuscan country home. The food is just as authentic as the atmosphere - the menu includes classic favorites such as Caprese salad, linguine with red or white clam sauce, and chicken Marsala. There are several vegetarian options, and gluten-free pasta is available upon request. In addition to the regular dining room, the restaurant offers two private dining areas that can be reserved for larger groups; one seats up to eight people and the other can accommodate up to 120. 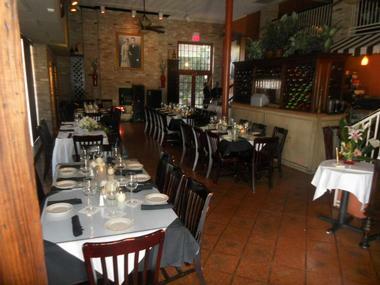 Located in North Central San Antonio, Aldino at the Vineyard provides guests with traditional Italian food in a welcoming, family-friendly atmosphere. The menu boasts plenty of classic favorites, including starters, soups and salads, pizzas and pastas, and a variety of both meat and vegetarian entrees. All of the desserts are personally created by the restaurant's award-winning pastry chef. Happy hour takes place at the bar between 4 p.m. and 7 p.m. and lasts all day long on Tuesdays. The restaurant is open every day from 11 a.m. until close, and a special brunch is held on Sundays between 11 a.m. and 3 p.m.
As the name implies, Bella On the River is a restaurant with a picturesque location right off the River Walk. Guests can enjoy a meal outside on the terrace or inside the cozy dining room, which features natural limestone rock walls. Many of the menu items have a Mediterranean flair; expect to see items such as calamari with artichokes and feta caper cream, seafood paella, and chicken with lemon butter sauce. Vegetarians and gluten-free diners will be pleased to see plenty of options. The restaurant is open for dinner from 5 p.m. until 10 p.m. every day of the week except for Sundays. Stella Public House is a modern rustic pizza place with what they call a farm-to-pizza concept – based on farm-to-table food practices and partnerships with local food producers. The star of Stella is an Italian Modena oven that uses oak and pecan wood to produce fabulous artisan pizzas with unique toppings such kale and sausage or pulled pork with peperoni and caramelized onion. The huge oven produces more than just pizzas – one of Stella’s most popular dishes is roasted chicken pot pie with flaky puff pastry filled with chicken, mushrooms, farm peas, and carrots. 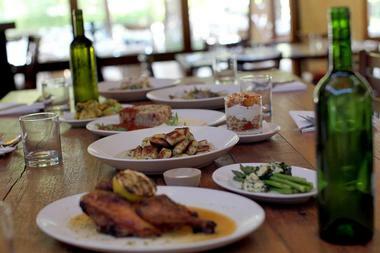 They also offer a selection of small shared plates, fresh salads, and house-made cheeses. Stella has more than 20 beers on tap rotating regularly, offering craft beer from all over the country. There is also a small but great selection of wines. Consisting of a restaurant, a marketplace, and a deli, Fratellos is a casual but charming restaurant with both indoor and outdoor seating. 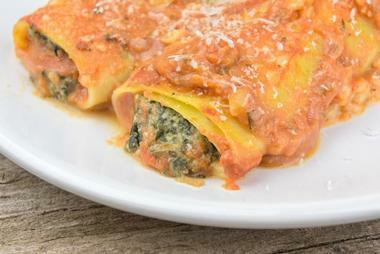 The menu is full of authentic Italian dishes such as Pappardelle Bolognese, Umbria sausage pizza, and Caprese salad. There are also a good number of both hot and cold sandwiches for guests to choose from, including a made-from-scratch hot meatball sub. The dessert menu boasts decadent treats like cannoli and tiramisu, and a small selection of wine and beer is also available. Take-out is available for all menu items, and the restaurant is also proud to offer catering for private events. 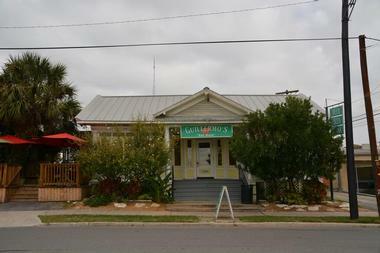 With its intimate atmosphere and friendly service, Little Italy Restaurant an old-school Italian eatery that is perfectly suited to both date nights and family dinners. The authentic Italian food includes hot and cold appetizers, thin crust Napolitana pizzas, thick crust Sicilian pizzas, and a wide selection of chicken, veal, steak, eggplant, and seafood entrees. A variety of traditional pasta bowls and baked pasta dishes complete the menu. 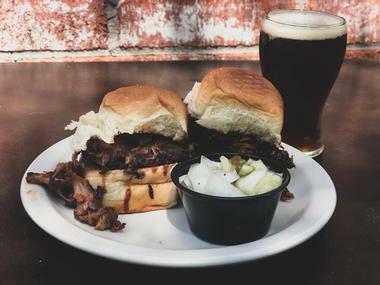 Lunch specials are offered Monday through Saturday from 11 a.m. until 3 p.m., and the full bar allows diners to indulge in a glass of wine or a pint of beer. As a traditional family-style restaurant, Louie Italian Restaurant boasts friendly service, reasonable prices, and delicious food. The extensive menu presents an array of traditional Italian dishes such as bruschetta, chicken Parmesan, and baked manicotti, and house specials include chicken Florentine, lobster ravioli, and traditional veal and shrimp capri. Daytime guests can take advantage of the generous lunch specials featured Monday to Friday from 11 a.m. until 3 p.m., and everyone can appreciate the half-price bottles of wine that are available all day long on Tuesdays and Wednesdays. Louie is open from 11 a.m. until 10 p.m. every day of the week. 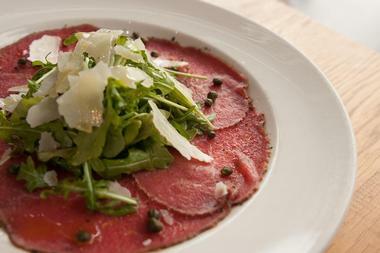 Paesanos 1604 is an upscale establishment that serves both traditional and contemporary Italian fare. The menu is seasonally inspired and subject to change, but it always features traditional favorites such as fettuccine Alfredo alongside more modern offerings like pork tenderloin served with spicy bourbon apple sauce. The wine list has an excellent selection of both domestic and imported beverages, and guests can enjoy their meal either inside the elegant dining room or outside on the spacious patio. Happy hour specials are available between 11 a.m. and 7 p.m. from Tuesday through Saturday and all day long on Sundays and Mondays. Located in the Alamo Quarry Market, Piatti has an open kitchen that gives it the feel of a traditional Italian trattoria. The menu has everything from starters to pasta dishes to meat entrees, and house specialties include handmade gnocchi and pizza cooked in a stone-hearth oven. 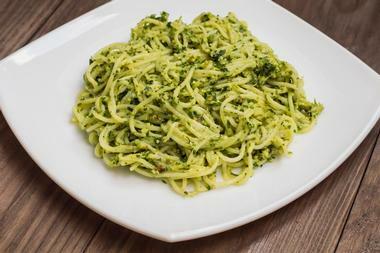 Plenty of gluten-free options are available, and the restaurant is also proud to offer a "fit menu" that features healthier options such as zucchini pasta and grilled salmon salad. Piatti is open for lunch and dinner every day of the week except for Sunday, and the daily happy hour takes place between 3 p.m. and 6 p.m. Thanks to its authentic Italian ambiance, Pompeii Italian Grill is a favorite of many locals who appreciate its Italian-American fare and its wallet-friendly prices. 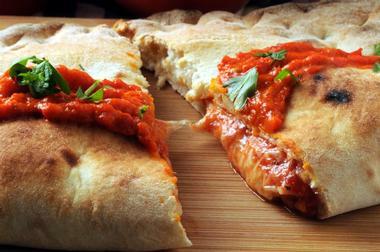 Pompeii is best known for its lasagna, but the restaurant offers excellent pizzas and pasta dishes as well. 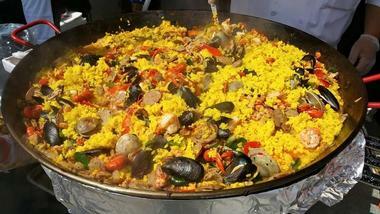 There are also a number of hearty dinner entrees to choose from, including chicken, veal, seafood, steak, and sausage. Happy hour is held every weekday between 3 p.m. and 6 p.m. when specials are offered on select beers, wines, cocktails, and appetizers. Unlimited homemade bread is served with every meal, and the dessert menu includes items such as cannoli, tiramisu, and cheesecake. Scuzzi's is a family-friendly Italian grill with an authentic atmosphere, and the menu includes everything from starters and flatbreads to hearty entrees and set three course dinner menus. Happy hour is held Sunday through Tuesday from 4 p.m. until 9 p.m., and lunch guests can take advantage of the specials available every day of the week between 11 a.m. and 4 p.m. Other weekly specials include half price bottles of wine on Tuesday evenings, live music and half price cocktails on Wednesday evenings, and a unique reverse happy hour on Friday and Saturday mornings between 9 a.m. and 11 a.m. Locally owned and operated since 2001, Sorrento Pizza & Restaurant has an elegant but comfortable atmosphere and offers traditional Italian cuisine. The menu starts off with appetizers such as calamari and Caprese salad, and it goes on to include baked pasta dishes, chicken and veal entrees, and several seafood options. Three different sizes of pizza are also available; guests can build their own or choose one of the house specialties. Many dishes are prepared according to old family recipes, and all the food served is prepared fresh in-house. The restaurant serves both lunch and dinner every day of the week except for Sundays. 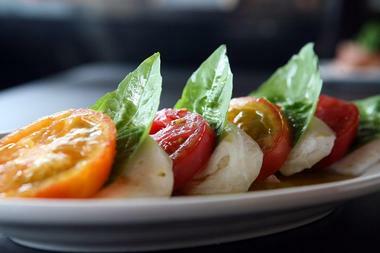 Inspired by the flavors of Tuscany, Tre Trattoria is a modern and trendy Italian joint with a full bar and a charming patio. The menu changes with the seasons, but it always includes an excellent range of salads, meats, cheeses, and both main and side dishes. The cast iron griddled pizzas are a house specialty, and all of the mozzarella cheese and pasta is made fresh by hand. Gluten-free pasta is available for an additional charge. Meat and seafood entrees come in both individual and family sizes, making this an excellent destination for groups who want to sample a variety of dishes. Named in honor of a small rural town in northern Italy, Zocca Cuisine D'Italia is a modern Italian dining spot located right on the river. The restaurant is open for breakfast, lunch, and dinner every day of the week, and the menu includes traditional favorites such as tagliatelle with bolognese sauce as well as more contemporary dishes like the warm artichoke fondue. Zocca is also proud to host occasional special events such as holiday brunches, parade viewings, and champagne or wine tastings. Special lunch combos and fixed three course dinner menus are available every day of the week. Occupying a convenient location right on Main Street, Capparelli's On Main has been a proud family tradition since 1964. Much of the food is lovingly prepared from scratch, including the pizza dough, the bread, the meatballs, and all of the sauces. Guests can choose from a wide selection of appetizers, salads, and entrees such as cheese ravioli, chicken alfredo lasagna, and linguine with baby clams. The menu also has a good assortment of sandwiches and pizzas, and several specials are available at lunchtime. 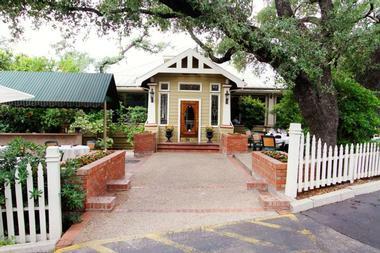 The restaurant offers lunch and dinner seven days a week, and reservations are recommended for parties of six or more. Conveniently located right downtown, Guillermo's is a casual counter-serve eatery with a cozy interior and a welcoming patio. The style of the restaurant makes it perfectly suited to both dining in and taking food to go, and customers can choose from a selection of pizzas, salads, sandwiches, pasta dishes, and decadent desserts. There are several vegetarian pasta and pizza dishes to choose from, and meat lovers will be pleased by the hearty selection of burgers and wings. Guillermo's is open for both lunch and dinner Monday through Saturday, and it is open only during lunch hours on Sundays. Julian's New York Style Pizza is an eatery best known for its delicious thin crust pizzas, but the menu also offers a wide variety of other Italian favorites including appetizers, salads, pasta dishes, subs and sandwiches, and entrees. Everything is made from scratch, and when it comes to the pizzas and pastas, diners can choose from one of the house specialty options or choose their favorite toppings from an extensive selection. Julian's is open every day of the week for both lunch and dinner. Pizza by the slice is available during lunch hours for anyone looking for a quick and easy meal. Established in 1972, La Focaccia Italian Grill is a classic Italian restaurant with an extensive menu, an inviting ambiance, and a well-stocked full bar. 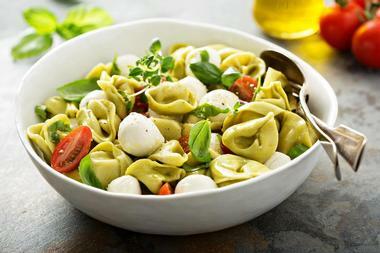 Appetizers, soups, and traditional Italian salads start the menu off, but diners also have the option of filling up a plate at the salad bar. There are also plenty of entrees, including Mediterranean and Italian pasta dishes, steak, seafood, veal, chicken, and pizzas baked in a wood-fire oven. Daily lunch specials are offered every weekday, and you can reserve the space for private events in advance. Both indoor and outdoor dining are available. The family-run Luciano Ristorante Italiano is the continuation of the multi-generational Luciano family tradition, which goes all the way back to a casual trattoria in a small town outside of Naples. The cuisine is all prepared by hand in the traditional way, using the freshest ingredients available and staying true to the family's original recipes. 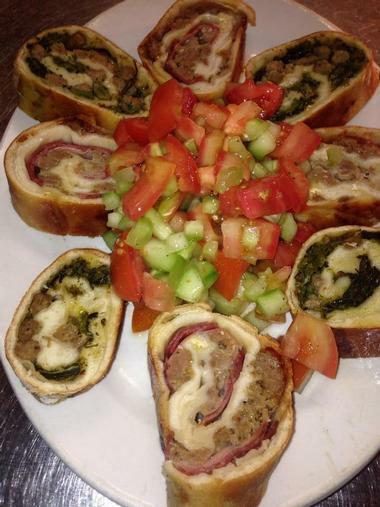 The menu begins with an excellent array of appetizers, soups, and salads. Groups of more than four people can indulge in one of the appetizer sampler platters. There is also an excellent selection of hand-tossed pizzas, pasta dishes, and entrees such as veal Parmesan and baked lobster tail. 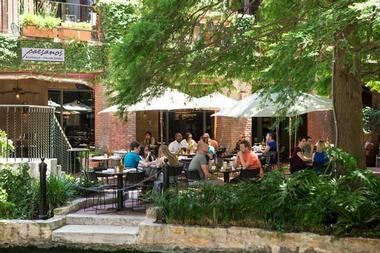 Paesanos Riverwalk is an upscale Italian joint that offers outdoor dining in a picturesque setting. 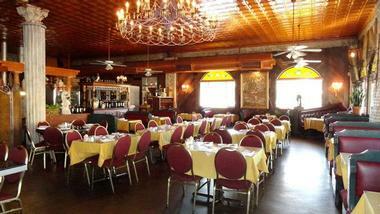 Guests can choose from a good number of starters, salads, pizzas, pasta dishes, and traditional Italian entrees. The long wine list has both foreign and domestic offerings, and the bar boasts a number of unique handcrafted cocktails. Other features of the menu include lunch specials that are offered between 11 a.m. and 3 p.m. and a good selection of both vegan and gluten-free options. Paesanos also hosts parade viewing events, and guests who wish to attend are encouraged to reserve their spot in advance. Inspired by the city of Naples, Dough Pizzeria Napoletana is a neighborhood pizza joint with an authentically Italian atmosphere. The restaurant specializes in Neapolitan style pizza, but diners can also choose from a collection of cheese platters, appetizers, and salads. There is also always a small selection of seasonally-inspired dishes, and the restaurant is proud to let diners know that their fresh mozzarella and burrata cheeses are made in-house. The wine menu includes an excellent selection of sparkling, red, white, and rose wines, all of which are imported from Italy. Dough Pizzeria is open for both lunch and dinner seven days a week. 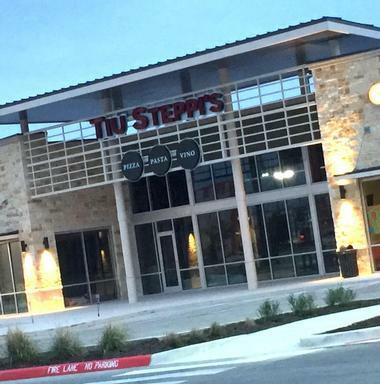 The owners of Tiu Steppi's Braun Road have a deep appreciation for authentic Italian food, fine wine, and craft beer, and this restaurant is their way of sharing these things with locals and visitors alike. The specialty hand-tossed pizzas, which are a highlight of the menu, come in both 12"and 16" sizes. Other menu offerings include antipasti, salads, and a selection of freshly made pasta dishes that are served with optional garlic knots. Take out is available for both lunch and dinner, and the restaurant is happy to offer bottles of wine and growlers of beer to go as well. 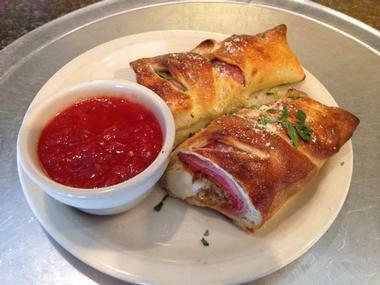 Volare Pizza is a traditional Italian pizza parlor with a cozy interior and a welcoming patio. 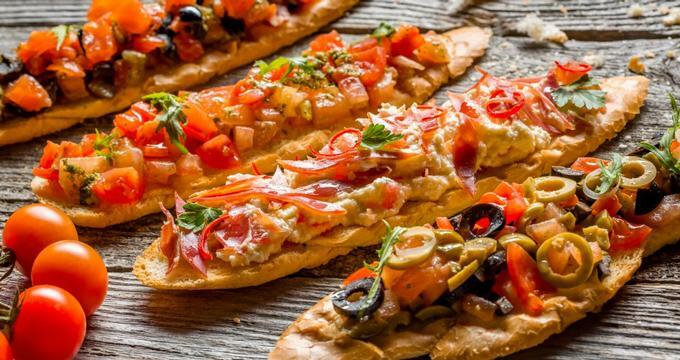 As the name implies, Volare's specializes in pizza, but the menu also includes appetizers, salads, chicken entrees, pasta dishes, calzones, and subs. 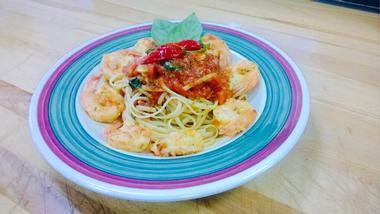 Family-sized portions of select pasta dishes, salads, and chicken entrees are also available. The restaurant is not able to sell liquor, but they do offer guests a complimentary glass of wine during dinner hours, and guests are permitted to bring their own beer and wine without any corkage fee. Pizza specials are offered Monday evenings and all day on Tuesdays and Wednesdays.